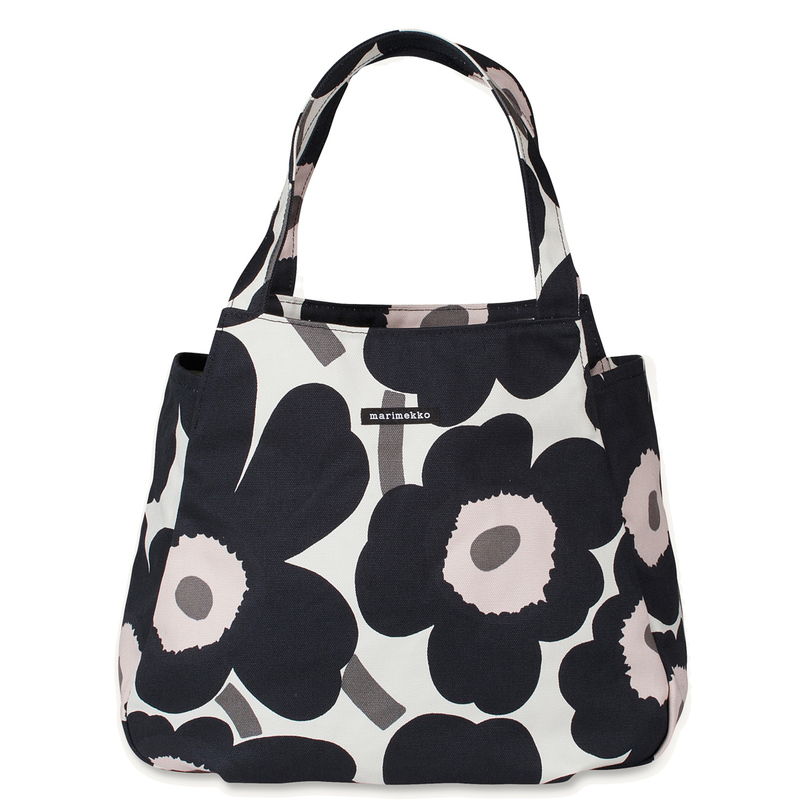 More about Marimekko Unikko Black / Pale Pink Huvitar Bag The Marimekko Unikko (Poppy) pattern is a well-recognized print that will turn heads when your friends see you with this bag. 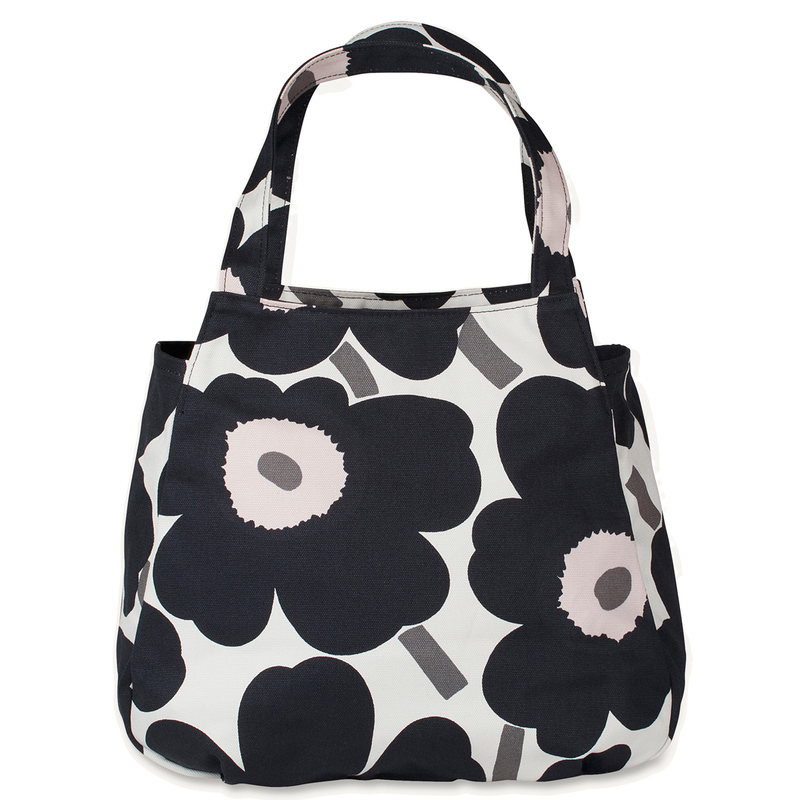 The black, beige, and dusty pink color scheme allows the funky pattern to match pretty much any outfit of the day. The metal snap closure opens to reveal a roomy inside with a deep zipper pocket hanging along one side. 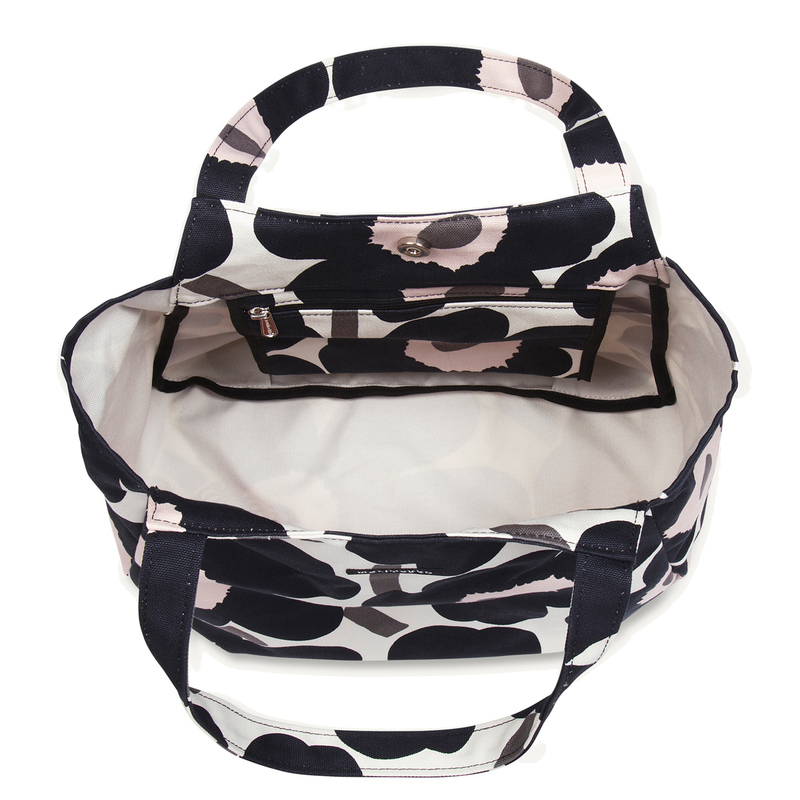 Zip up your phone, keys, and wallet in the side pocket and still have space to store your laptop.